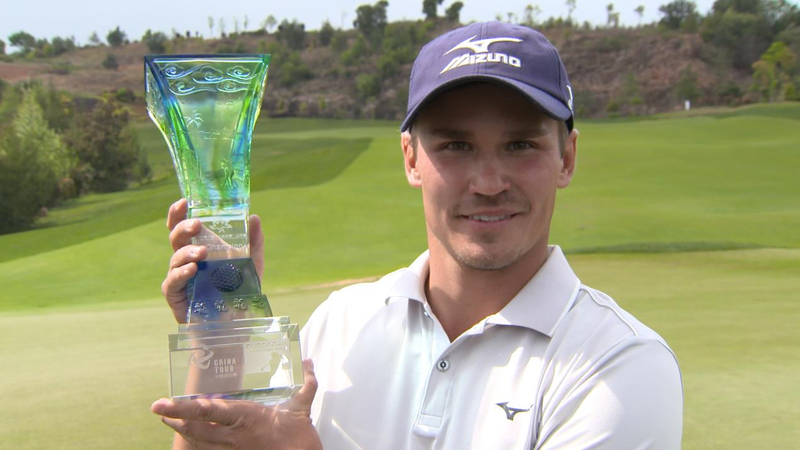 Kim Koivu won his first title as a professional in style by carding a joint low round of the week 64 to triumph by four shots at the European Challenge Tour's Belt and Road Colourful Yunnan Open. The Finn, who only joined the paid ranks at the end of last year, led by one shot after the third round in China but following an outstanding start, where he holed a 20-foot birdie putt at the first, he then picked up four shots in four holes to move clear of the rest of the field. America’s Charlie Saxon, who trailed Koivu by one going into the final day, did apply some pressure on his rival with four birdies over his first seven holes, but it was Koivu who held firm. Following a dropped shot at the par fourth seventh the 27 year old played flawlessly, bagging three further gains to sign for a seven under par 64 – the joint low round of the week at Yulongwan Golf Club. After winning his first European Challenge Tour title in only his fourth appearance on the tour, Koivu was delighted with, yet unsurprised by, his breakthrough victory. “It feels really great,” he said. “I played great today and shot seven under which I really wasn’t expecting, I thought I was going to go out there and shoot three or four under, but it feels amazing to have just gone out there and to have got it done. “I was five under after five holes – so I couldn’t have had a better start! I was like ‘what is going on here’ but then I had a very tough putt on the seventh and made bogey. After that though I played really solid until the end. “Charlie and I had a really good match going until the 11th where he made a mistake and then I started to make some birdies on the back nine. I looked at the leaderboard and saw I was four shots ahead so that felt really good. “I have been working hard over the last four years with my team prepping myself for this point so that when I turn pro I’m ready. Today I showed that I am definitely ready. “I felt very comfortable all week. I felt that I was going to play well as I did really well in Kenya too – I made six birdies and an eagle but finished two under in the final round so I knew I was close but I just needed to cut out the mistakes. With victory in China Koivu moves to third place in the Road to Ras Al Khaimah Rankings with 53,160 points. Also rising up the Rankings are England’s Marcus Armitage and Denmark’s Joachim B Hansen, who shared second place after finishing four behind Koivu. Left-handed Scot Bob MacIntyre tied for seventh place with a 69 for 276.